After a relaxed day fishing, Kotjok’s anger seemed out of place. When we thought about this later, we guessed that at some time a white person must have chastised him for throwing litter from a vehicle. 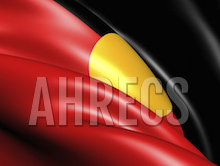 By imposing their European values on Aboriginal actions, this person unwittingly had insulted the country’s Junggayi the senior, traditional custodian, the person who had the highest authority and responsibility to care for the land.Kotjok’s anger was in remembrance of this earlier incident. Smith CE & Jackson GT (2008). The Ethics of Collaboration. Whose Culture? Whose Intellectual Property? Who Benefits?. In Colwell-Chanthaphonh C and Ferguson TJ (Eds) Collaboration in Archaeological Practice: Engaging Descendent Communities. Walnut Creek, CA: AltaMira Press, pp. 171-191.